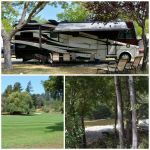 Ask fellow campers about "Benbow KOA (formerly Benbow RV Park)" and nearby attractions. As stated, this is now a KOA with all of the add on costs you find with KOA. We had 43' rig and towing. We fit but just barely. Had the tow on the lawn. Streets are very narrow and sites all have these 10' pipes at the right hand side as you try to swing onto the site. If you are not there to golf, at $63 it is a park to keep on trucking. We said NO to the pet friendly question as they charge for each pet. 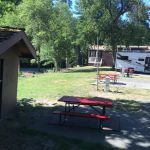 We camped at Benbow KOA (formerly Benbow RV Park) in a Motorhome. This park recently became a KOA. There is evidence that things are getting better, but there is still a a lot of work to be done. Sites are not level and the place needs to be repaved. Nice pool and water play area for kids. Probably won't stay here again. 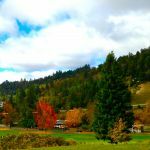 We camped at Benbow KOA (formerly Benbow RV Park) in a Travel Trailer. This is an older campground that has been recently converted to a KOA. While the campground is clean and cell service is good the web site is a bit of over the top on the looks of this campground. While this is a pet friendly park our doggy picked up a lot of small burrs in his feet when we walked him. They also advertise a pet bathing area, but the sink was really dirty and there was no warm water. On the morning we left, they must have watered the area and the both sides of the RV and car were wet. We camped at Benbow KOA (formerly Benbow RV Park) in a Motorhome. The previous post pretty much hit this park right on the head. For years I'd driven by this Park with the golf course up on the hills and thought that would be a neat place to camp. First of all they were way over priced by about $10 on the basic Campsite. Second the campground was in dire need of some upkeep. And third I would not want to maneuver in this park when it is full or half full the roads are way too tight for the size of rigs that come in and out. One of the good things they had was a expanded cable network which was included in the base camp site price. I would probably not stay here again specially during peak season. We camped at Benbow KOA (formerly Benbow RV Park) in a Motorhome. Vastly over priced. Probably paying for golf course. Short, un-level site. And very narrow. Restrooms had dirty sinks full of dead bugs, dirty floor littered with paper, and in dire need of painting. Nicely landscaped. Would only stay here again if under $30. 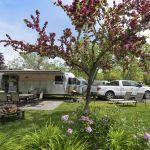 We camped at Benbow KOA (formerly Benbow RV Park) in a Fifth Wheel. A nice park with level pads and quality hookups. They're in the process of building a new kids' splash pad, so that will be a nice addition in a month or two. Note, the spa is closed during construction. Wi-Fi wasn't strong enough to use at our site (in the middle of the park), but there was good Verizon voice & data coverage in the area. We had some minor issues with management, but overall the park was OK, and we would consider staying there again if in the area. But the management could do a better job of check-in and maintenance. We camped at Benbow KOA (formerly Benbow RV Park) in a Motorhome. A very nice pleasant park in a beautiful, woodsy, mountain setting. Golf and a classy hotel with fine dinning and cocktail lounge also share the area. Large sites, large clean restrooms with many showers, toilets, and sinks. Never a wait. Swimming pool was a favorite for the kids, and they were adding some more water features for future visitors. The front half of the park is well maintained, everything looking good, but the back half of the park was unkempt; leaves and twigs everywhere, if a camper moves out, you get his trash. I don't think they do any maintenance on the back 40, but the restrooms are very nice back there. We camped at Benbow KOA (formerly Benbow RV Park) in a Motorhome. Appears new? Owners are starting to fix park up. Everyone was very helpful and friendly. Park appears to have a lot of long termers and are adding several cabins. Sites are very tight with poles protecting power pedestals obstructing turns into sites. Entry into park is pretty tight especially when obstructed by random parked cars. We had a couple problems during our visit. Power issues that didn't get fixed correctly the first time. Sprinkler system also sprayed water all over rig and car. Although the water wasn't too hard, it did leave spots everywhere. Not sure we would return, especially if normal rate is $60 per night. We camped at Benbow KOA (formerly Benbow RV Park) in a Motorhome. Hmm, pretentious to call itself a resort. That said, the sites are level, with grass, and concrete slab with table. Would have rated higher, but bathrooms only rate a C; and you might give up on waiting for hot water in shower. We camped at Benbow KOA (formerly Benbow RV Park) in a Motorhome. Pretty steep - price paid includes $3 pet charge. Sites are old and hookups are not positioned well in the pull-throughs for motorhome plus tow car. We had to dump in site in front of us as we left as our sewer hose was nowhere near long enough to hook up in our site. Enjoyed the walk under Hwy 101 to the Inn where we had dinner. Wine list was very reasonable although food was pricey. Pretty quiet considering the location next to the highway. Had always wanted to visit the Inn. Now it's been there, done that, and no incentive to return. We camped at Benbow KOA (formerly Benbow RV Park) in a Motorhome. Park is old. Sites are very narrow and short. I had to park on the grass on one side in order to get the push outs open on the connection side of the RV. Ground was very soft. Sunk in 4" when the RV and truck went on the grass. Every site had tire marks in the soft ground getting into or out of the site. The restrooms in the office were very clean, but NO HOT WATER for showers. The water in the laundry also was not hot. Restrooms in the back of the park were closed for the season. They were getting ready for a golf tournament on Sunday. They put us in a site that we could not used our satellite even though we requested a site so we could. They had no idea what sites could or could not receive satellite. A one night stop could be OK. Will not be back here. We camped at Benbow KOA (formerly Benbow RV Park) in a Fifth Wheel. The park is nicely set up but we had a few issues, tight turns on inner roads, including accessing our space. Space was narrow and gave us a problem opening our slide and electrical bay door on one side and tree branches obstructed us in opening our awning. Since we would be facing west on a warm day, this was not acceptable. We had to back up a little too much, almost into the road by an inch, to open our awning. Another issue, first campground we've been to that charged high prices and additional fees for third adult and fee for tiny little dog. If I had realized this I might have made a different decision. The Wi-Fi is very slow and we are even right next to the office. This is not acceptable for a park that charges so much. Otherwise, this is a nice looking park. Didn't need the golf but if I had brought clubs it would have been fun, maybe. We camped at Benbow KOA (formerly Benbow RV Park) in a Motorhome. We stayed here in a 45' motorcoach: the only site that would hold us was number 98. Unfortunately it's way over priced. The park is really more suited to those coaches under 38 feet and shorter. A little tight getting into the park and more than a little tight throughout the park. Some trees needed to be pruned up, others removed entirely for a longer length coach. Did have excellent Wi-Fi. We camped at Benbow KOA (formerly Benbow RV Park) in a Motorhome. We have stayed in this park before. It is an okay park. It is old, but people were friendly, except the guy at night when I called he said it was booked completely, but I could call in morning of which I did and there were plenty of spots. Maybe because of fires causing cancelations, but I really think the guy on nights did not have a clue. It is overpriced but probably because of 4th of July, which people came for and the fireworks were canceled. Undestand if you are golfer it is a neat golf course. Probably would stay again, but not for $65.00. Restrooms were okay altho very old. But everything there is old. A must is to walk to the Benbow Hotel and go inside. Very nice. But the lake is being drained, so will no longer be a draw, because the dam has been determined to be unsafe. We camped at Benbow KOA (formerly Benbow RV Park) in a Motorhome. Nice surroundings. Close to 101, so a lot of road noise. Sites are ancient, but paved and clean. Very tight for big-rigs! Sewer connections are old and require a 3" connection, an adapter I don't carry in my rig. So I had to go into the office and buy one for no less than $15 bucks! They also dinged us a $2 per pet fee which I feel is ridiculous. So with the pet fee, the overpriced initial rate of $48 per night, and the sewer adapter I'll never use again it costs us $67 for one night in the middle of no where! We camped at Benbow KOA (formerly Benbow RV Park) in a Motorhome. You are right on the Redwood Highway and there are a lot of groves to wander around in along with trees to drive through, live in, and even a motorhome made from one. Benbow Hotel is right across the highway and has been restored and has a nice resturant . It's a very short walk to the shallow river which is fun for kids. It's not deep enough to swim. The historic Benbow Inn is also a very close walk and has a restaurant and bar. Ben Bow Inn part of the complex was a good place for happy hour but new "new age" menu did not appeal. Dinner at Benbow Inn was very good. 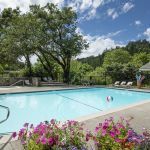 Lunch at the Benbow Historic Inn is a must! Cute golf course and the BENBOW Inn for dinner is lovely. Walk to historic Benbow Inn for lunch or dinner. Visit Avenue of the Giants just north of here. If you attend the annual Reggae By the River event, they have shuttle service to/from the campground. Toured the Mansion west of the Inn, and the Inn is great for a visit. Humbolt Redwoods are beautiful. Local golf course, and the Benbow Inn. Historic Ferndale, the Redwoods, etc., all make great day trips from here. I consider it a day's drive from San Francisco. UHumboldt Redwoods State Park close by. Are you affiliated with Benbow KOA (formerly Benbow RV Park) ?